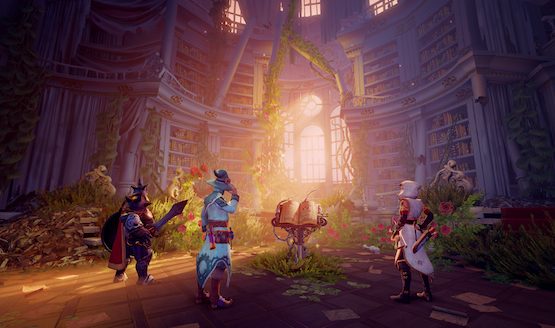 Frozenbyte is taking players back into its fantasy world with Trine 4 this fall. An Ultimate Collection of all four games will also be conjured. Trine 4 brings back our three main heroes, Amadeus, Pontius, and Zoya with a return to the 2.5D platforming formula and of course, its physics-based puzzles. Tossing and toiling with horrific nightmares and gone missing, Prince Selius is spilling out dark creatures into the real world. To face this crisis and to find the missing Prince, the Astral Academy enlists the help the trio as these visions leave his mind and enter the real world. The game has a beefed up combat system, more boss fights than any other entry in the series, and four player offline and online co-op. It can be played solo as well. Trine 4 and the Trine Ultimate Collection will be released physically by Modus Games. Trine 4 will include the game and a world map, and the Trine Ultimate Collection includes all four games, the original soundtrack for the series, a digital art book for the latest adventure, a reversible cover sheet, and the world map, as well as some bonus content. If you pre-order either, you’ll get a cloth poster and bonus in-game content for Trine 4. This is a return to the initial formula for the series, as the third was a detour with a 3D style rather than 2.5D. The game wasn’t received as well with a 65 Metacritic score. In 2015, Frozenbyte’s Vice President Joel Kinnunen said the game was around three times more expensive to make than the prior entry. He stated, “The future of the series is now in question, as the feedback, user reviews and poor media attention has caught us by surprise.” With a new entry and a physical release on the way, it seems like the series is back on track.